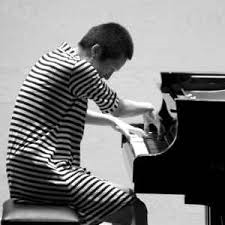 Rieko Okuda is a pianist and a composer. She began with Classical music from the age of 3, in Japan. In her young age, she attended to Kaizuka city Piano Competition, and got the first prize. Later then moved to USA to study and learn Jazz music. She fell right into the Jazz scene in USA, performing with some of the great American Jazz musicians (Bob Mintzer, Jon Faddis, John Fedchock etc.) Also, she got interested in Free Jazz and Improvised music scene while she was in Phliladelphia. She performed with the great improvisers includes Marshall Allen (from San Ra Orchestra), Elliott Levine (recorded with Cecil Taylor), and Calvin Weston (recorded with Ornette Coleman). She has performed in Jazz Festivals throughout her stay in USA. Her interests in Improvised music led her to move to Berlin and perform with various musicians. Currently, she performs with Audrey Chen, Els Vendaweyer, Susanne Zapf (from Sonar Quartet), Yuko Kaseki, Axel Dörner, ect. She also performs at several experimental festivals: XChange Festival, Experymental Festival, and Art-Sound Festival to name a few. In 2014, she got to work with Japanese Pop Artist, YUZU. She arranged the song called “Amenochi Hareruya,“ which awarded Japan Record Award 2014.